Welcome to the Maryland Nutrient Trading Program . . .
On March 26, the newest version of the baseline and credit calculation tool (Maryland Nutrient Tracking Tool or MNTTv.2) will be released on this website. All existing accounts and projects will be available on the new version. Anyone wishing to use assessments from the current version for submissions to either the Certainty or Agricultural Credit Certification Program will need to re-run them using the latest version since the results will differ. The current version will be archived for those with existing Certainty assessments, and access will be granted upon request to the Maryland Department of Agriculture (MDA). For questions or additional information, contact Susan Payne, MDA’s Coordinator of the Ecosystem Markets and Certainty Programs at nutrade.mda@maryland.gov. The next meeting of the Trading Advisory Committee will be held on Wednesday, November 14, 2018, from 1:00 to 4:00 p.m., at the Anne Arundel County Utility Operation Complex, 445 Maxwell Frye Road, Millersville, MD 21108 (parking is available in front of the building). The Committee acts as an ongoing consultative group to provide direction to the overall trading program and oversee further enhancement of the trading infrastructure. The upcoming meeting will focus on the new trading regulations, the trading website, and Aligning for Growth policies. The Maryland Department of Agriculture is a member of the National Network on Water Quality Trading. In June 2015, that group published a comprehensive reference providing the essential tools for new and evolving water quality trading programs. “Building a Water Quality Trading Program: Options and Considerations” identifies common trading issues and the options, considerations, and examples important to building a trading program. It captures several decades of experience in trading programs and is the product of a dialogue between National Network participants who represent agriculture, wastewater utilities, environmental groups, regulatory agencies, and practitioners. To learn more about the National Network and its activities, go to willamettepartnership.org/nn-wqt; to download the full publication, go to wri.org/nn-wqt. 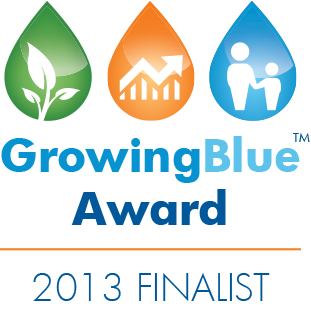 For more information about the nomination of the Maryland Nutrient Trading Program for the Growing Blue Award, see press release put out by the Maryland Department of Agriculture.